Another challenge is set this week and the sketch provided by the lovely Rosie. I just adore the design team cards this week and if you love to colour your digi images, this is a download you are sure to want and is proving very popular already, she's called Missy and you can find her here. 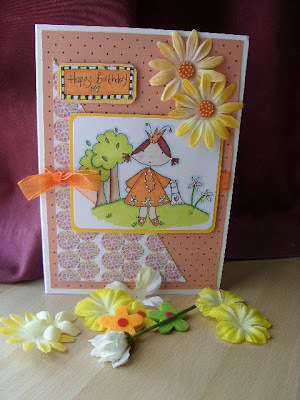 As per usual, I love to see any challenge cards using our images from Willow Designs (customer gallery is now set up on site, just need some cards to go in it so, if you have used any of our downloads to create cards, I would love to pop them in the gallery, please send them to me here. but the choice is yours, this is a sketch challenge and you can basically use what you want to create your little masterpieces. Find the sketch below, make your card and leave your link in the comments, it's as simple as that, don't forget..you have a chance to win one of our downloads every week so if you enter, don't forget to pop back the following week to see if you are our lucky winner! Thanks Louise. You won't be disappointed with Missy. She's such a poppet. Looking forward to seeing what you do with her. 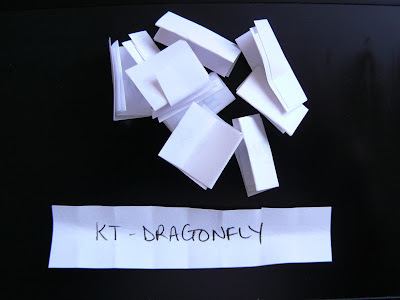 Congratulations to KT Dragonfly. Enjoy your download. Great DT Cards! 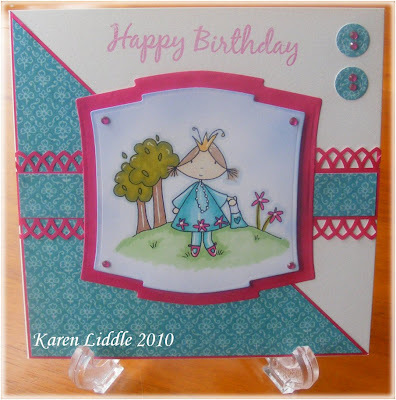 Here is my entry...thanks for lookiing..
Oops, another card from me! another fab sketch, i love all the dt cards!